It was just a few days ago. I got a Whatsapp notification from my friend Naomie. As appealing as the offer seems and even though I decided to click the link, I was skeptical. And for good reason. 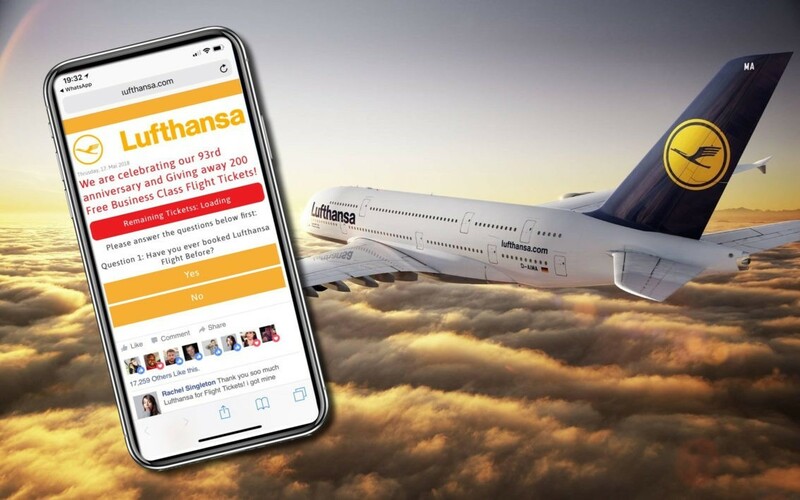 When I click the link, I see that it opens a look-alike Lufthansa website, which prompts you to answer 3 simple questions, such as “Have you reserved with Lufthansa in the past?”, and instructs you to share and like the promotion on Facebook in order to win. Even worse, so you don’t think twice about sharing and liking the promotion, the look-alike Lufthansa website also embeds a Facebook widget that displays other likes and comments to make you feel confident and safe. I can smell the scam from miles away and it doesn’t take me long to discover the catch. It was all in the URL. When I took a closer look, I noticed the ‘L’ in Lufthansa.com is truncated and looks more like a beheaded L.
At first glance, this is not easy to see and unfortunately, according to Facebook, more than 17,259 people fell victim to this scam. I know what you’re thinking: a like? a share? What’s the risk? 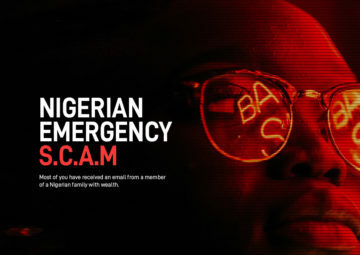 This tiny little scam seems harmless, but every day tens of thousands of people are victimized and even sometimes willingly and wholeheartedly participate in spreading the epidemic. But don’t worry, here are some tips to avoid such consequences. Realize nothing is free: 99% of gifts offered on the internet are scams. Of course, there are exceptions, but if a luxury car or thousands of airline tickets are supposedly being given away, you have no reason to believe a word of it. The only way to win is not to participate. – Pay particular attention to URLs: Bookmark the link I’m about to share with you, it will be your new best friend: http://www.sonicwall.com/phishing. When in doubt, copy and paste the URL in question to understand if the offer is real. – Protect your computer for free: Without mentioning any particular brands, there are numerous reliable security software solutions that you can install on all your computers, devices, and phones for free, which would allow you to detect the presence of malware or malicious applications. – Don’t spread the word: Oh, and one last thing… Stop sharing this type of content with your friends. 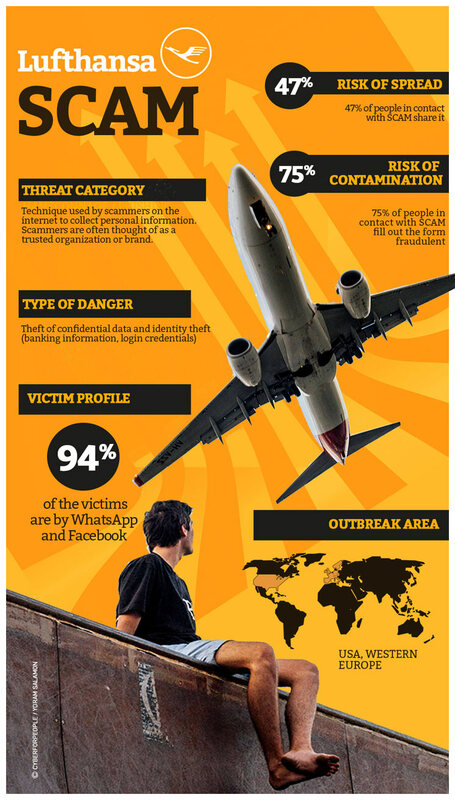 Sharing links drastically increases the number of people affected and ensures the success of such hacker campaigns. – Be the next ambassador, share this knowledge with your loved ones.